Rubenerd: Happy Birthday @JamieJakov and Rin! Happy Birthday @JamieJakov and Rin! 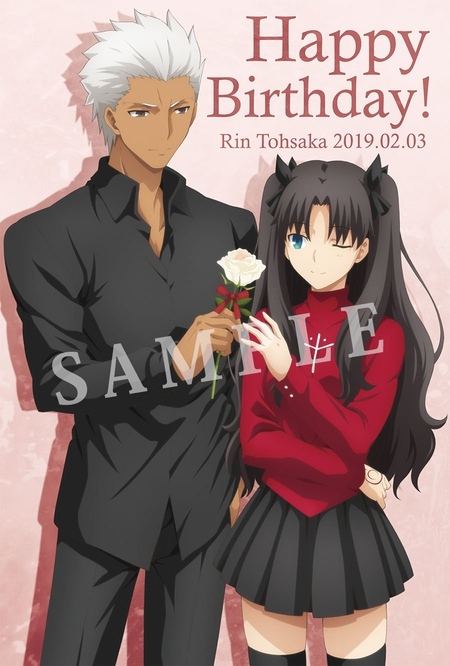 ufotable is hosting a café event for the Fate/Stay Night Heaven’s Feel movie series, and included the above image of everyone’s favourite star from it despite it not being her story arc or anything important like that! @JamieJakov likes a good tsundere, or at least he and I used to, if I had endless money I’d fly the both of us out for this to make up for missing his birthday yesterday as well. Happy birthday too, my friend ♡. I would have included this supplied sample image on Tumblr, but they would have just auto-blocked it.